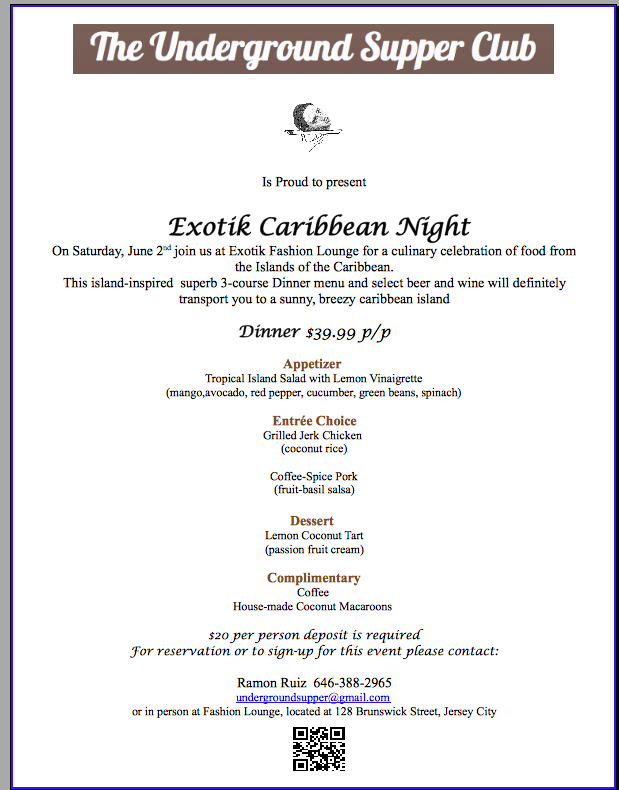 We are pleased to invite you to going us On Saturday, June 2nd at Exotik Fashion Lounge for a culinary celebration of food from the island of the caribbean. This Island inspired 3-course menu and select beer and wine will definitely transport you to a sunny, breezy caribbean island. The evening will be filled with excitement, one of a kind fashion show, raffle, gift bags and our welcome Coconut-Mojito.